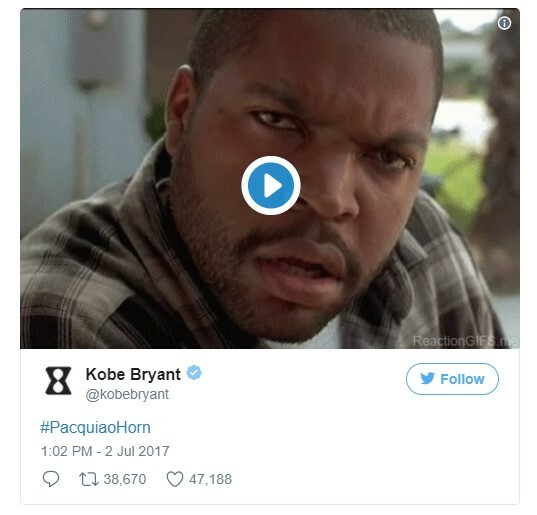 Home / News / Sports / Pacquiao vs Horn: World's biggest pro athletes rally behind Pacquiao - Rigged! 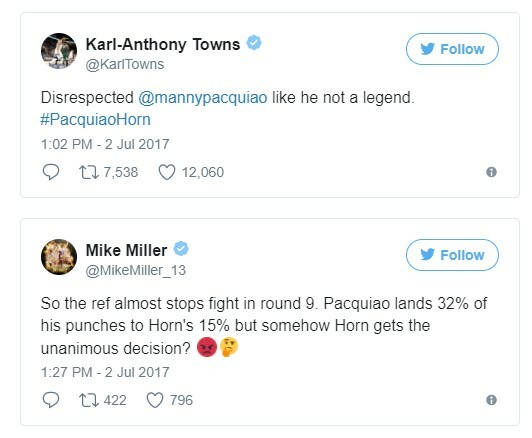 Pacquiao vs Horn: World's biggest pro athletes rally behind Pacquiao - Rigged! The sports world was shaken once again. Many were shocked, including the world's biggest professional athletes, by the results of the recently concluded Pacquiao-Horn bout. 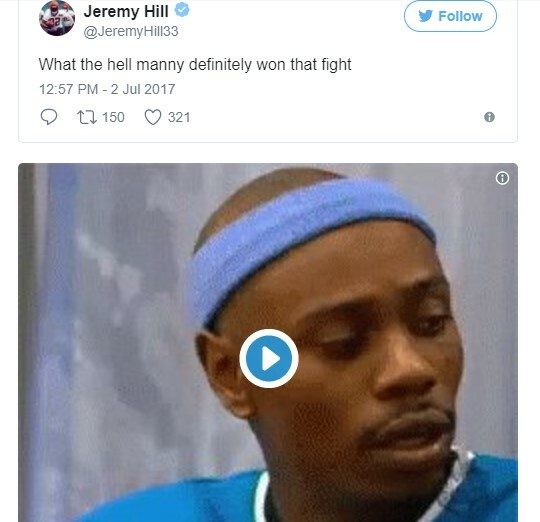 "Shock and disappointment permeated social media on Saturday night as all three judges awarded Jeff Horn of Australia a unanimous decision over Manny Pacquiao of the Philippines in the WBO world welterweight title bout held in Horn's hometown of Brisbane. 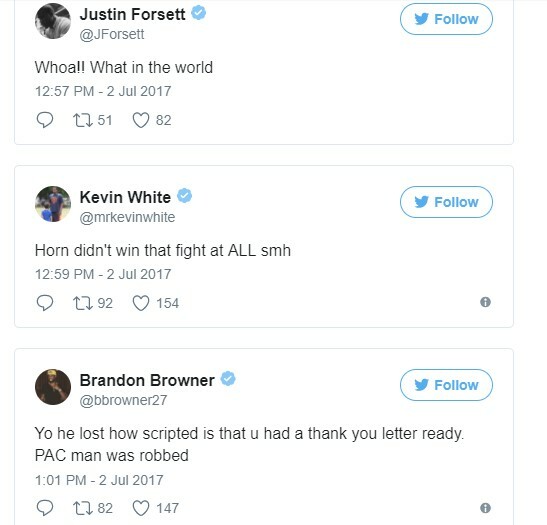 Several professional athletes from different sports took to Twitter to express their negative reactions to judge Waleska Roldan's 117-111 card, as well as the identical 115-113 cards of judges Chris Flores and Ramon Cerdan," a report on ESPN says. NBA superstars Kobe Bryant, Damian Lillard and DeMar DeRozan took to Twitter to voice their displeasure. NFL superstars had also seen what everyone did. 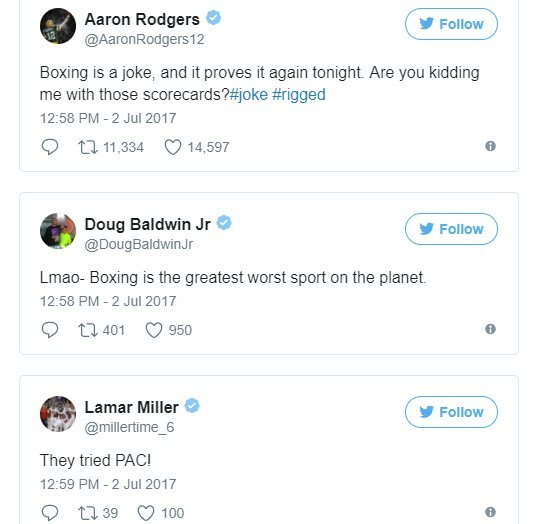 Even former boxing champion Lennox Lewis didn't hold back to air his disapproval of the decision. 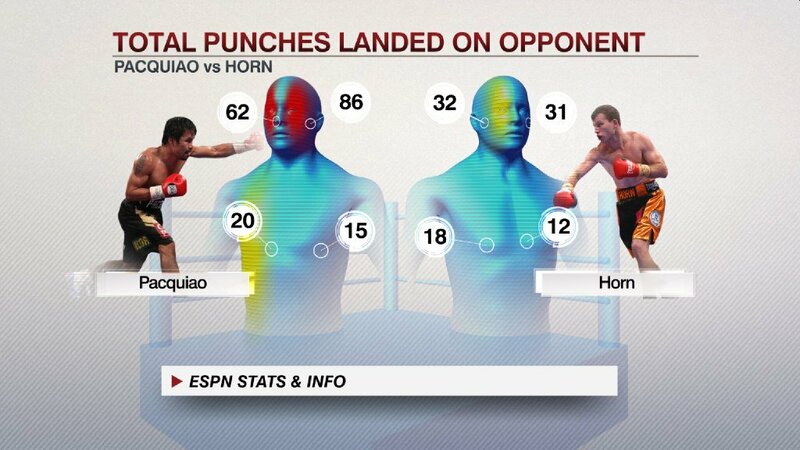 "ESPN scored the fight 117-111 in favor of Pacquiao. ESPN ringside analyst Teddy Atlas also thought Pacquiao was victorious, by a 116-111 margin," the ESPN report added.